Willow Tree sculptures capture our relationships, our memories, our imaginations, our joys… bringing us closer to others through their unique ability to communicate with gestures that which we want to say to those we love, those we miss, those we care about. These are wonderful friendship gifts that express best wishes, luck and laughter, and wonderful memories of time spent together. 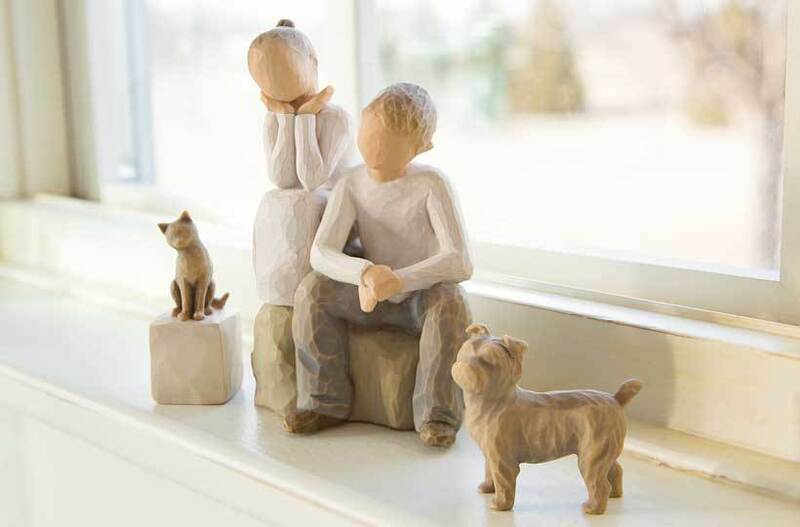 Whether it's a significant piece that tells the story between lifelong friends, a best friend gift, or just a little something to welcome a new friend–a gift of Willow Tree becomes personal and meaningful to both the giver and the receiver.